Crime statistics are presented in interactive displays across several categories (in tabs). 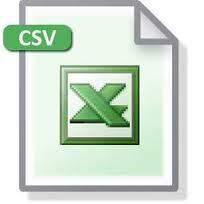 The "Data File" underlying each display is available for download in .CSV format below. Most of the data on these pages were drawn from the Colorado Bureau of Investigation (CBI), the Colorado State Judicial Branch, the Colorado Department of Corrections (CDOC), the Colorado State Demographers's Office (DOLA), the Bureau of Justice Statistics (BJS), and the Federal Bureau of Investigations (FBI) Uniform Crime Reports.